When you want to take down a bit bounty, you need a big hunter. You’re not going to pick someone you’ve never heard of. You want a real hunter, solid genetics. Someone that if, say, a group of people wanted to create a clone army might have been the principle subject. They also note that you can recognize a significant player in the world of heroics or villainy by the equipment for which they are known. You know King Arthur by the singing sword. You know Bilbo by his magic ring and Sting. So, it follows that any bounty hunter worth mentioning should also have a signature weapon! We’re of course speaking of the notorious bounty hunter in a galaxy far, far away who fired blasts while jetpacking through the air… and you can step into the same role—jet pack or no—with this Deluxe Jango Fett Blaster. 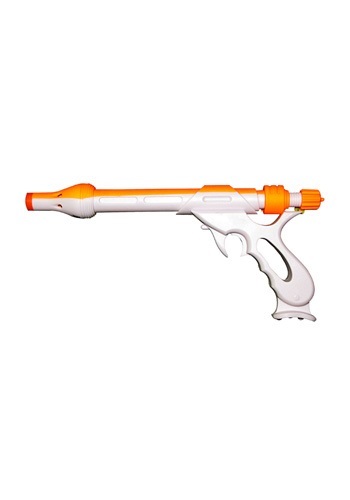 This white and orange plastic gun looks exactly like the blaster Jango might have used, but it has a secret bonus. While firing at your imaginary (or even your real) targets, you won’t have to burn all your hunting energy shouting out your “pew-pews!” because the blaster will do it for you! 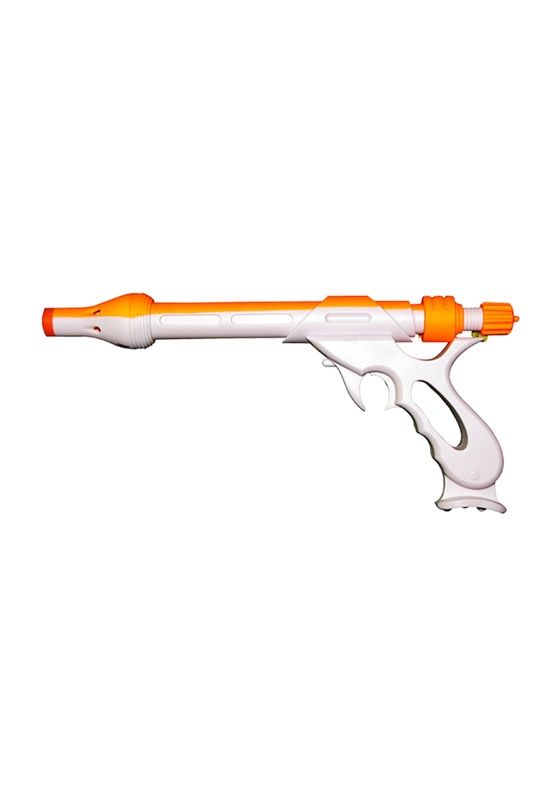 Firing off authentic sounding movie blaster sounds at each trigger pull, astound friends and enemies when you pull this epic blaster out of your cloak.